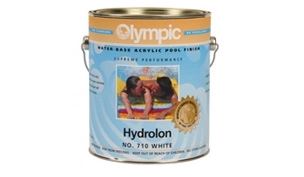 Olympic acrylic pool paints are water-based and popular for jobs that require fast drying and smooth, quick application such as work on commercial pools. They also require no coat of primer for the pool surface. Choose from our standard colors or call us for custom matching.